KEDS continues the winning streak at NGS declamation competition. 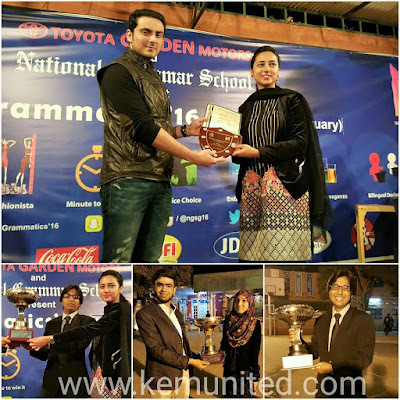 Tahreem Raza and M. Anas Tahir win the team trophy. Anas Tahir bags 3rd position in Urdu category with his thrilling humorous speech. A big round of applause for both Awab Hussain and Hafsa Ishfaq for getting consolation prizes at their debut as a team. We congratulate all the speakers on this memorable victory.